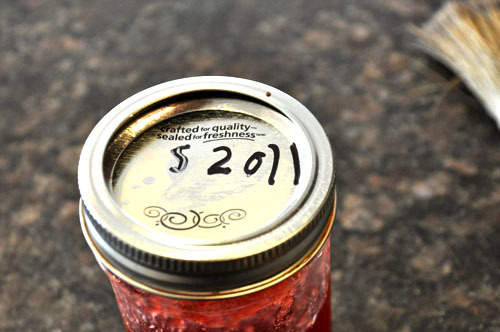 There is some sort of satisfaction of having the jars, sealed in your cupboard, not having to rely on any kind of electricity whatsoever to keep them preserved, as in, say freezer jam requires. And then, it does. 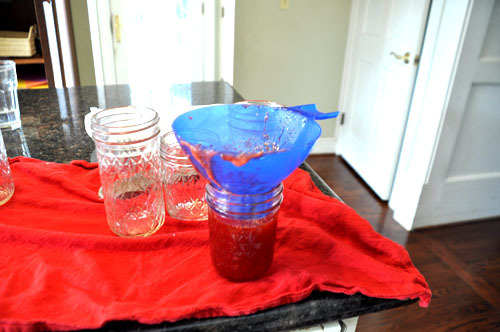 The jar makes it, totally intact… to the towel where they set and wait to “seal.” Magic. So, when I look at those jars of canned strawberry jam in my cupboard, that’s what I think about. 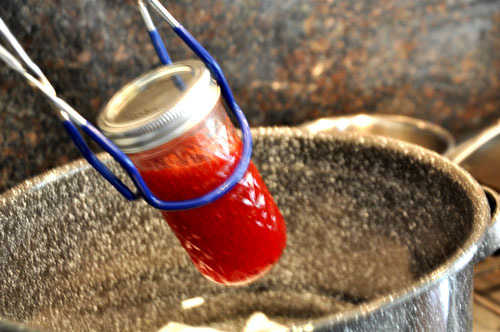 All those boiling hot jam jars that miraculously did not break. Labeled by none other, than my own proud little boy. I did strawberry jam this week too! 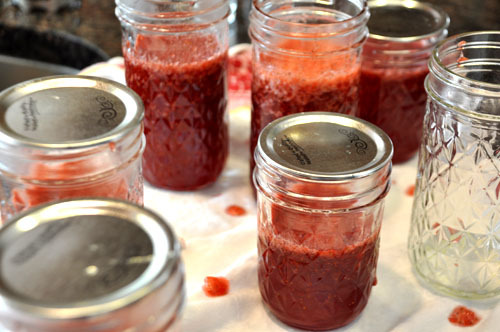 I get that same feeling when I hear the POPS of the jar sealing…… and love the satisfaction of the jars lined up in a row. Although, I’m always grateful my family doesn’t depend on my canning abilities to get us through the winter! Next up: Rose Petal Jam!